An esoteric journey through politics, religion and bigotry. A 'Tolkien-esque' adventure across a tropical alien world to end a mysterious plague. --And vampire tale unlike any other! 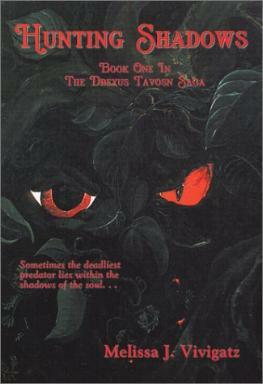 Follow the trail of the vine-jungle Hunter, Drexus Tavosn. An outcast loner, Drex' dreams are haunted by a fire-eyed demon of long fangs and talons: a nightwalker on a planet in which the nights last for three days--Or is it the psychic manifestation of a mysterious plague, one that drives it's victims murderously insane before it kills them? The is original print version.